What is Acute Apical Periodontitis? Acute apical periodontitis is a condition in which the apical portion of a tooth’s root (i.e. its tip) becomes inflamed, following trauma or infection. The presence of inflammation makes it tender when tapping or chewing on it. Slowly applied pressure may not be as painful. To clarify use of the term, “apical” in the diagnosis, it is becoming more commonplace to hear the term “periradicular” instead of “apical” or “periapical”. This is because the word “apical” implies that the problem originated at the tooth’s root tip; “periapical” implies that it began somewhere around the root tip. The term periradicular accurately reflects that the problem may have arisen along the root. How does the dentist diagnose Acute Apical Periodontitis? (1) If drainage is present, the term “suppurative” is added to the diagnosis: Chronic apical suppurative periodontitis. Drainage from infections can produce a bad taste and bad breath (halitosis). (2) Lymph nodes are where white blood cells that fight infection mature. How is Acute Apical Periodontitis treated? 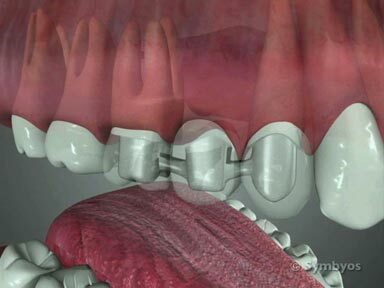 Sometimes simply adjusting the bite on the tooth to prevent further inflammation will solve the problem. Often, however, more involved treatment will become necessary. This is because teeth aren’t very good at self-repair, due to their relatively poor blood circulation, and their inability to tolerate the increased blood flow necessary for tissue repair. Unike soft tissue, which can swell during an episode of increased blood flow (that delivers necessary healing and immune cells), teeth cannot. Increased blood flow to teeth generally causes pain, but accomplishes little in the way of repair. 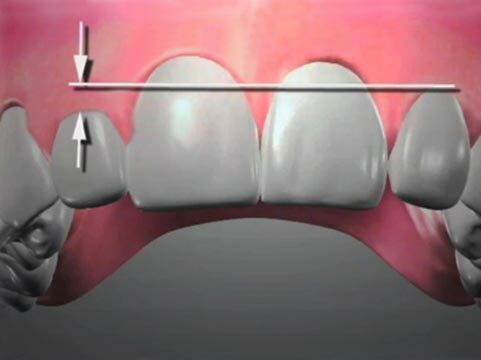 If adjusting the bite on the tooth fails to eliminate symptoms, a crack might be suspected. If a crack in the tooth is suspected, a crown may be recommended. If the pain doesn’t resolve, vital testing of the pulp will often be done (which evaluates the tooth’s response to heat, cold and mild electrical stimulation). Follow-up with X-ray images (radiographs) will generally be recommended, even if symptoms improve. This is because the living tissues in the tooth sometimes die, causing the tooth to feel better in the short term. Necrotic teeth (dead teeth) often become infected at a later date, however, because they are hollow (potential) spaces open to the inside of the body. If bacteria find their way into the space, their presence may cause damage to the tissue around the tooth that is sometimes visible on an X-ray image.